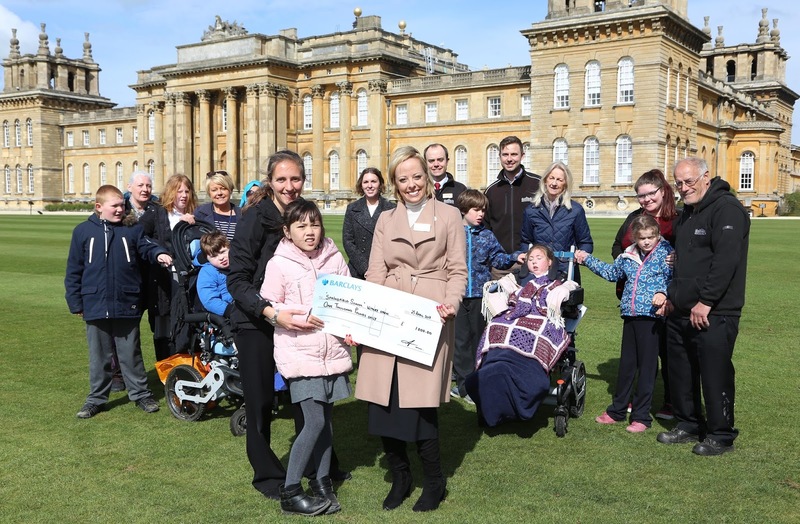 Pupils and staff from Springfield Special Needs School in Witney travelled to Blenheim Palace to collect a charity cheque for £1,000. The money was raised by staff at the UNESCO World Heritage Site and will go towards developing the garden at the secondary school site. As well as fundraising for the garden, Blenheim Palace’s head gardener Hilary Wood is helping with its design and a Palace staff team of volunteers are also planning to help build it. 'It was lovely to be able to hand over the cheque in person to pupils, staff and helpers from Springfield School during their visit to us. 'The school make several visits here each year and are always looking at innovative ways to provide amazing new learning opportunities for their pupils – the entire team here is delighted to be able to support their endeavours. Springfield Special Needs School, located in Witney, educates children and young people, between the ages of 2 & 16. All of the pupils have severe learning difficulties and communication problems. The school provides a flexible approach to learning, respecting the individuality of each of its pupils and allowing them to grow personally. Its nursery and primary classes are integrated with Madley Brook Community Primary School and its secondary pupils are based at the Woodgreen Secondary School site. 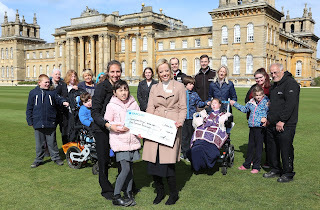 ‘We are delighted that Blenheim Palace chose to support our school’ said Lisa Benson, Fundraising & Communications Manager for Springfield School.